When it’s time to service your car, you deserve peace of mind. The kind which comes from knowing your vehicle is getting high-performance care so it will always drive like a car. Our vehicle health checks will help maintain that performance, so you can focus on other things. We believe in preventive maintenance – keeping your car in good working order and avoiding the problems that can lead to roadside breakdowns. We perform the same comprehensive services offered by most car dealerships. From routine maintenance to major repairs, all at a price you can afford. Our expert technicians are trained to help keep your car running as safely as possible, making sure that the major mechanical systems are functioning properly and efficiently. Our fully trained, ASE-certified technicians provide sophisticated, professional, and highly technical repair and maintenance services, using state-of-the-art computer diagnostic equipment. Receiving continuous training, they are the most knowledgeable about your vehicle. The use of factory diagnostic computers allows for faster, more accurate analysis and service. Technology. Expertise. Exclusive specialization for most manufacturers. 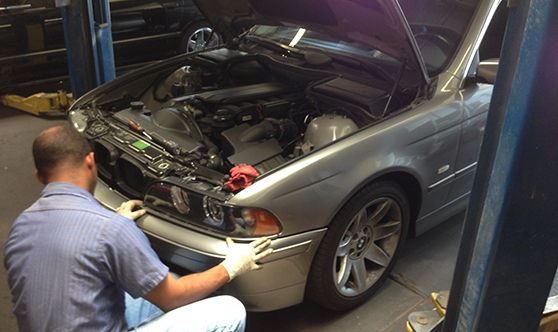 It’s no wonder that these technicians are passionate about keeping your car performing like new. We only use quality parts and do things right the first time. Our prices are guaranteed to be fair and competitive. Unless the customer is 100% satisfied, we haven't done our job. Lowest Prices, Best Service, and 100% Satisfaction Guaranteed. SOS Automotive guarantees quality expert service at competitive prices. We pride ourselves on having some of the best factory trained expert and master technicians with over 128 years of combined experience. We understand that the quality of our work reflects on the image of our brand, that’s why you can always expect nothing but the best. At the end of the day SOS Automotive is part of a community and we take our relationship with the people in our community very seriously.